The Land of Ooo will go quiet, the streets of Aberdale will be empty, the Gem’s temple will be dark, the park will be closed and Uncle Grandpa is packing up his RV because Cartoon Network is taking Adventure Time, Regular Show, Steven Universe, Uncle Grandpa and Clarence, respectively, to WonderCon 2014 held at the Anaheim Convention Center. Fans will get an inside look at the Network’s hit original animated comedy series with exclusive clips and answers to all their burning questions from series producers and voice talent at Cartoon Network panels scheduled for Friday, April 18 and Saturday, April 19. Making their WonderCon debut this year are the newest original animated comedy series Steven Universe, Uncle Grandpa and Clarence from Cartoon Network. All three series originate from Cartoon Network Studios’ prolific shorts program. Steven Universe, created by Rebecca Sugar, is about the misadventures of a boy named Steven, the ultimate “little brother” to a team of magical guardians of humanity—the Crystal Gems. The hilarious series, Uncle Grandpa, created by Pete Browngardt, is about everyone in the world’s magical Uncle and Grandpa and his gang that travels in an RV, bringing magical fun everywhere they go. From first time series creator, Skyler Page, Clarence tells the story of an optimistic, spirited, lovable boy who sees the best in all things and wants to try everything. Because everything is amazing! Cartoon Network’s WonderCon Anaheim 2014 panel and signing schedule is detailed below. Please note all times, dates and locations are subject to change. Believe in Steven! Come fix your eyeballs and ear lobes on the Steven Universe panel at WonderCon 2014, brought to you by Cartoon Network! You won’t want to miss the magical guardians of this new comedy dish, or sing, or whatever… on all things Steven! Producers Michael Jelenic (Batman: The Brave and the Bold) and Aaron Horvath (MAD), and members of the voice cast take the stage for a lively conversation and Q&A about your favorite teenage superheroes. And, of course, they won’t be coming empty-handed as they will be bringing an all-new episode to screen exclusively for WonderCon Anaheim. From Warner Bros. Animation, Teen Titans Go! airs Wednesdays at 6:30/5:30c on Cartoon Network. What’s better than a panel of one Cartoon Network comedy? TWO CARTOON NETWORK COMEDIES! Join the talented magic-makers behind two of the newest comedies to join the Cartoon Network family: Uncle Grandpa and Clarence. Get your laughing muscles ready for an hour of cool content and commentary…times TWO! Regular Show is bringing back a taste for the extra-ordinary to WonderCon 2014. YEAUUUUUH! Join Cartoon Network at the Regular Show panel as the ultra-talented cast and crew dish the exclusive scoop, sneak a few sweet treats, and delight your funny bone. There is nothing regular about this panel and anything could happen! What time is it? It’s panel time! 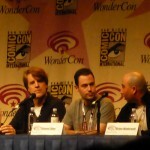 Cartoon Network is bringing back the coolest show on TV and the team behind it, in the Adventure Time panel at WonderCon 2014. Grab your friends and check out this righteously entertaining panel. Get the goods, be in the know and laugh your chops off during this interactive & engaging hour of awesome adventure – it would not be cool to miss this. Not cool at all. 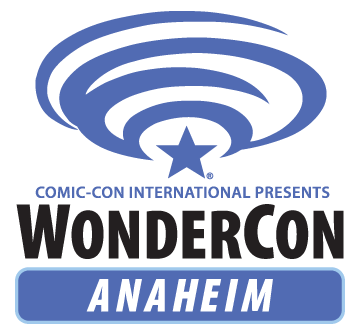 WonderCon – Joss Whedon’s “Much Ado About Nothing” is headed to WonderCon! Joss Whedon and company will bless us once again! Only this time it will be at WonderCon 2013 to present his new movie “Much Ado About Nothing” a film based on shakespeare’s play. The panel which consist of actors and actress who have worked with Whedon in the past and persent, will talked about the up coming film followed by a Q& A for the fans. Synopsis: Leonato (Clark Gregg), the governor of Messina, is visited by his friend Don Pedro (Reed Diamond) who is returning from a victorious campaign against his rebellious brother Don John (Sean Maher). Accompanying Don Pedro are two of his officers: Benedick (Alexis Denisof) and Claudio (Fran Kranz). While in Messina, Claudio falls for Leonato’s daughter Hero (Jillian Morgese), while Benedick verbally spars with Beatrice (Amy Acker), the governor’s niece. The budding love between Claudio and Hero prompts Don Pedro to arrange with Leonato for a marriage. MUCH ADO ABOUT NOTHING opens in theaters June 7, 2013. Posted on March 25, 2013 March 26, 2013 Author Anthony DavisCategories Movies, NewsTags 2013, Anaheim Convention Center, Clark Gregg, Fran Kranz, Jillian Morgese, June 7, Much Ado About Nothing, Nathan Fillion, Ricky Titus, Romelle Rosemont, Sean Maher, Tom Lenk, whedon, wonderconLeave a comment on WonderCon – Joss Whedon’s “Much Ado About Nothing” is headed to WonderCon! 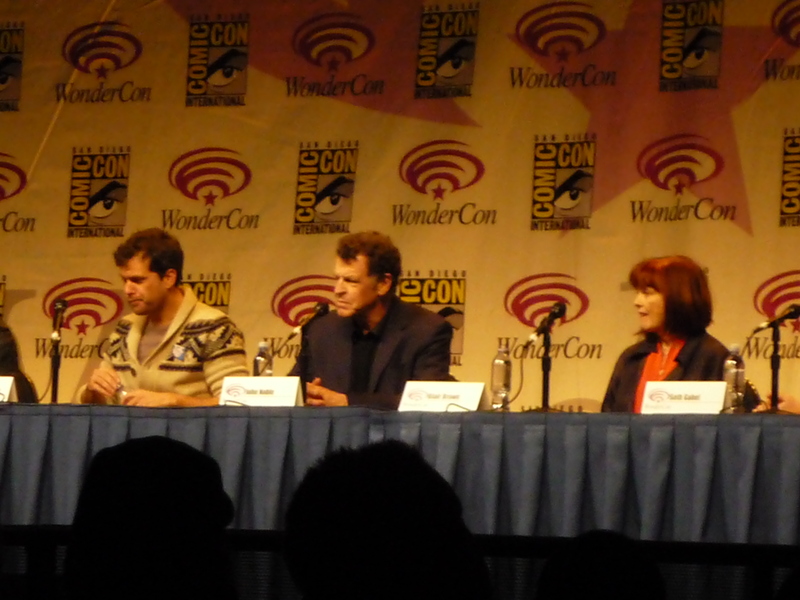 Broadcast Music, Inc. (BMI), the leading global music rights organization, along with White Bear PR will return to Wondercon to present an elaborate panel discussion on the art of composing for one of the most demanding genres – Horror! BMI Director, Film/TV Relations Anne Cecere and White Bear PR Founder Chandler Poling will moderate this spine tingling panel. The panel discussion will be followed by a Q&A session. There will also be giveaways distributed following the panel. 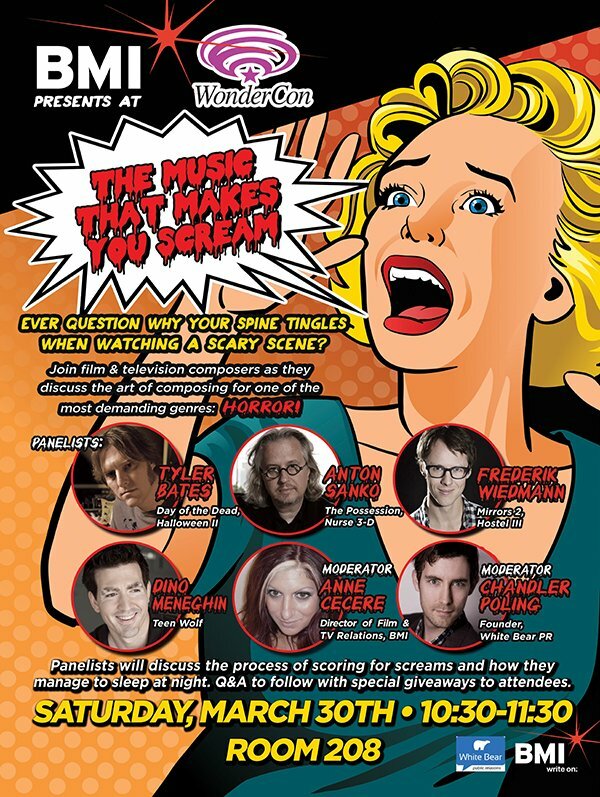 “The Music That Makes You Scream” panel at the 2013 Wondercon will feature BMI Film and TV composers who will be discussing the process of scoring for screams. The highest-rated series and specials on television feature the scores of BMI composers, crafting the theme and/or background music for nearly three-quarters of all prime-time network programs. BMI’s composers such as the legendary John Williams also contribute to billions of dollars in box office receipts with film scores in many of the year’s top films. Promoting the role of music in film, BMI partners with the Sundance Film Festival and other industry workshops to enhance the role of music in film and television. 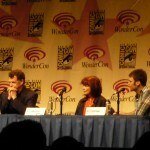 WonderCon – MTV’S “Teen Wolf” Makes its first Appearance for upcoming WonderCon! MTV announced today the hit drama series “Teen Wolf” will be invading WonderCon on Saturday, March 30, in Anaheim, Calif. with a panel featuring series stars Tyler Posey and Dylan O’Brien, plus Executive Producer Jeff Davis. 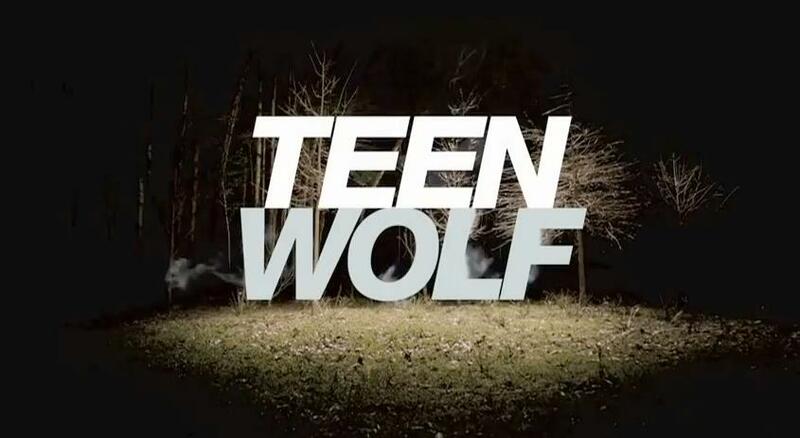 Jim Halterman, West Coast Editor for TVFanatic, will be on hand to guide the hour-long “Teen Wolf” panel presentation as Tyler Posey, Dylan O’Brien and Jeff Davis dish about what fans can expect from the upcoming supersized third season and discuss the past two seasons. Additionally, fans will be treated to exclusive, never-before-seen “Teen Wolf” content. “Teen Wolf” is set to debut the first half of its supersized 24 episode third season on Monday, June 3 at 10:00 p.m. ET/PT. 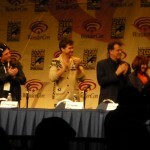 To help fans keep up with all the action taking place at WonderCon, MTV Geek! will deliver complete coverage of the panels, press rooms and the all of the excitement unfolding on the show floor. Join host Ashley Eckstein of “Her Universe” and “Star Wars” fame for exclusive interviews with the biggest names from fan-favorite movies, comic creators, TV shows, cosplay, gaming and more! 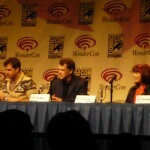 Keep it locked to wondercon.mtv.com for updates and follow along on with Twitter @MTVGeek. On Friday, March 29, join MTV Geek! Executive Producer/Editor Tom Akel, Top Cow Productions CEO Marc Silvestri, “September Mourning’s” Emily Lazar, and additional surprise guests for updates on MTV Geek’s live action series “September Mourning” and the Marvel documentary “Behind the ReEvolution.” Then get a first look at upcoming MTV Comics releases including Stan Lee’s “The Seekers,” J. Michael Straczynski ‘s “The Adventures of Apocalypse Al,” Sanford Greene’s “1,000,” and the prequel comic to MTV’s “Teen Wolf”! Posted on March 20, 2013 Author Anthony DavisCategories News, TelevisionTags 2013, Anaheim Convention Center, Dylan O’Brien, Jeff Davis, MTV, MTV Geek, Teen Wolf, Tyler Posey, wonderconLeave a comment on WonderCon – MTV’S “Teen Wolf” Makes its first Appearance for upcoming WonderCon! 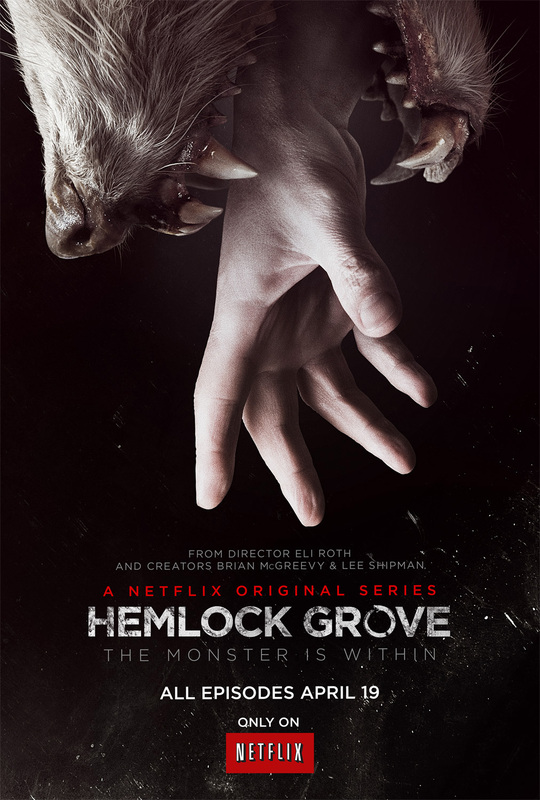 SYPNOPSIS: From executive producer Eli Roth and based on Brian McGreevy’s novel of the same name, Hemlock Grove is a riveting one-hour murder mystery that revolves around the residents of a former Pennsylvania steel town. When 17-year-old Brooke Bluebell is brutally murdered, any of Hemlock’s peculiar inhabitants – or killer creatures – could be suspects. Through the investigation, the town’s seamier side is exposed, revealing nothing is what it seems. Beautiful, terrifying and graphic, Hemlock Grove is unlike anything else in its genre. 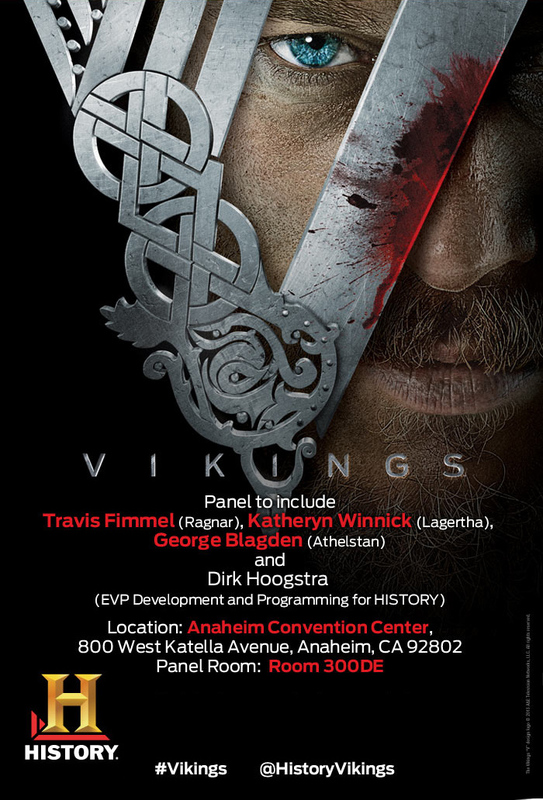 If your attending this years Wondercon, make sure you checkout the “Vikings” panel !! 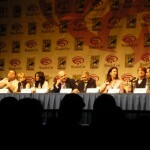 WonderCon – TNT’s Falling Skies To Invade 2013!! 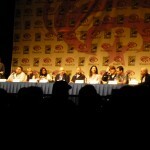 TNT’s epic drama Falling Skies, basic cable’s #1 summer drama among key adult demos, is bringing the Second Mass resistance back to WonderCon Anaheim with a panel Q&A and exclusive look at what’s ahead in season 3. Series stars Drew Roy (Secretariat), Sarah Carter (Shark) and Seychelle Gabriel (Weeds) will join executive producer Remi Aubuchon (24, Persons Unknown) for a panel session on Saturday, March 30 at the Anaheim Convention Center. 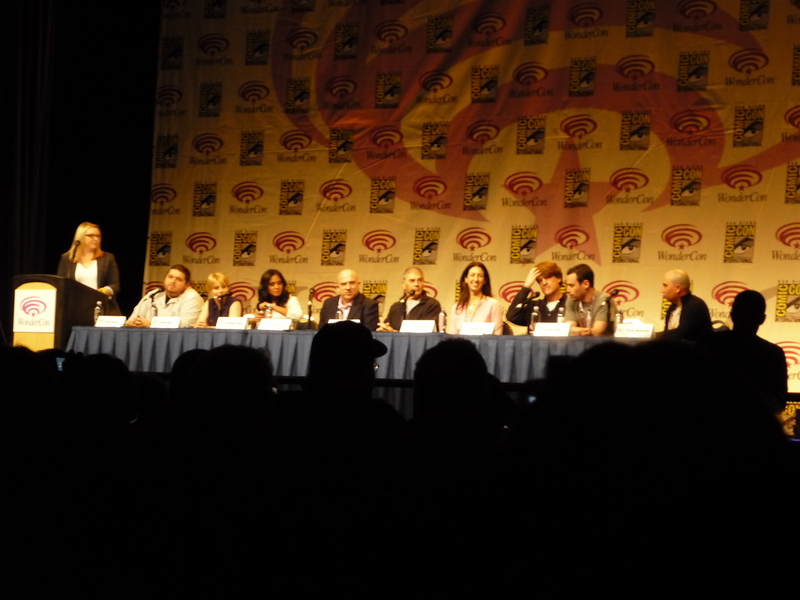 The panel session will include several exclusive clips offering a sneak peek at the first episode of Falling Skies season 3, which is set to launch this summer on TNT. Panel and Presentation: 12:30-1:30 p.m.
Posted on March 18, 2013 March 20, 2013 Author Anthony DavisCategories News, TelevisionTags 2013, Anaheim Convention Center, Drew Roy, Falling Skies, Remi Aubuchon, Sarah Carter, Seychelle Gabriel, TNT, wonderconLeave a comment on WonderCon – TNT’s Falling Skies To Invade 2013! !